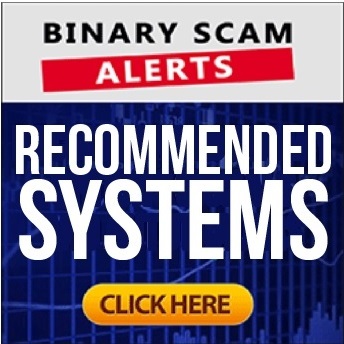 Binary Scam Alerts » Forex Scam Reviews » Digitroniq Review, Scam Digitroniq Forex Robot Exposed! Were you baited by the Digitroniq SCAM software (not to be confused with Digitronic) and had your money stolen? If so you are not the only one so don’t feel so bad about it. The fraudulent Digitroniq Forex App and trading robot by Treyton Boyer is going viral these days due to a massive campaign recently launched by a rogue affiliate network. Digitroniq is not just a usual scam, it is a very special project which is the brainchild of an unethical online marketer who has invested heavily in this new get-rich-quick scheme. When we signed up we tried to access the software, but the broker (eMarketsTrade) told us we need to fund a trading account before we can even SEE it. That is just outrageous and immediately set off some serious alarm bells and red flags. But that’s just the start of it, after we insisted on seeing the actual trading software and were refused, we were met with a barrage of telephone calls insisting that there is an alternative “in-house” signals app which does a better job. When we inquired about the nature of this software, we were referred to the Bitcoin Trader system which we all know by now to be the most thieving and fraudulent Bitcoin trading software online today. The Digitroniq Forex software was designed from the start to trick and bait unsuspecting and inexperienced traders who are just starting out their journey in the online trading niche. It is exactly for this reason why we view this system with particular disdain, as it clearly takes advantage of the customers lack of knowledge. So instead of offering customers a legitimate signals software, these crooks are tricking you into signing up for a confirmed investment SCAM. Don’t believe us? Keep reading to see exactly how we exposed the crooks behind the Digitroniq scam and what type of evidence we were able to produce. Here we can see the Digitroniq primary sales page and registration area. In it you can clearly see how the actress is saying that all she has to do is “sit in front of the computer and watch your profits grow more and more with each passing day”. We know that her testimonial is fake because we found her profile on Fiverr, and she is very active and well known for her gig (see below). Moving forward, here we see the sales presentation and how it boasts a 97.7% accuracy level on the signals. That means that it is almost risk-free, and we all know that this is a lie because if it was true we would have a lot of new millionaires using this system and this is not the case. And the last piece of evidence has to do with the fact that we were denied the option of even seeing the actual software and trading panel. Below you can see support agent “Chris Parker” clearly saying that we can only access the Digitroniq app AFTER we fund a real money trading account, and that is not acceptable. Who Is Treyton Boyer and Is He a Real Person? According to the sales pitch, Boyer is an MIT graduate who majored in Computational Science and Engineering. He then proceeded to pursue a career in Forex Trading and used his knowledge to develop an algorithm which is based on Deep Reinforcement Learning or DRL. This is a Forex trading system which uses Deep Reinforcement Learning in order to “interact with the surrounding environment” while attempting to solve complex business problems. The logic can be used for any mathematical purpose, but here it is used for Forex trading. The app analyzes news, various issues, and predictions about price movements and based on that executes trades automatically. The app also supports manual signals mode. Digitroniq Review – $7,500 a Day Or Scam? If we judge according to the presentation, the Digitroniq Forex and cryptocurrency trading app “accurately assess price movements that are connected to disruptive technologies and their affect on the Forex Market”. As we mentioned previously, the app claims it has a 97.7% accuracy level, but that is just a senseless lie and even the most amateur trader understands this. The hype and exaggerated claims talk about a “financially secure future” and a change to finally live life the way its meant to be lived. There is also some talk about Alpha Testing, and after that some nonsense about how to make the software accessible to everyone. Its also interesting to point out that these crooks (whoever they are) clearly state that they integrate with regulated brokers, however when we signed up we got stuck with a broker which is named eMarkets Trade, and they are not regulated. Again, we believe that not EVERY unlicensed broker runs a scam operation, but the promoters pulling the strings behind the scenes are actually lying about this fact and that tends to arouse our suspicions. Is Digitroniq SCAM or Not? Digitroniq is a verified Forex scam and a BLACKLISTED software and IF you believe otherwise after reading our review then you need to stay away from any form of online trading. Digitroniq SCAM is not free, and it will cost you at least $250 to get started using this filthy piece of trading software. In reality Digitroniq has nothing to do with Deep Reinforcement Learning or algorithmic trading. The features consisting of 6 Technical indicators, 3 money-management systems, and a reverse trading option are fake just like the testimonials. There is no serious back-testing, and Treyton Boyer is not a real person. We checked him out at the MIT People Directory and guess what, he does not exist. Feel free to check for yourself. In short, you are about to get your wallet fleeced so stay away and don’t say we didn’t warn you. The most troubling aspect regarding Digitroniq fake reviews has to do with certain review sites that would tell you Digitroniq is a SCAM, and advise you to use Maximus Cryptobot which uses THE SAME fiverr actor as the Digitroniq scam software uses to promote fraudulent software. We advise you to proceed with extreme caution before joining Maximus Cryptobot as it has been blacklisted by multiple review sites and with good reason. Our staff constantly evaluates new systems and at time it seems like there is nothing legit out there. However, sometimes a truly genuine app hits the market and that is when we start testing it. Once it passes our screening process and generates profits consistently we add it to our recommended section.